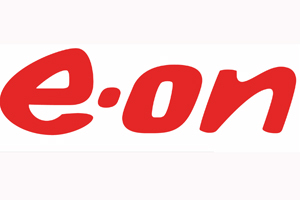 E.ON has reduced its meetings spend by 60% and travel spend by 54% over the last year as part of a greater focus on cost-cutting following the recession. E.ON was spending £3.5m on meetings and events in 2008, but has now cut its spend to around £1m, according to the energy company’s UK travel manager Judith Gledhill. "There is an appetite in the business to stop external meetings; there is still very much an appetite to understand and drive costs out," said Gledhill, who works with agency BSI. "We are looking at using our internal meeting space better. We are erring on the side of caution and investing heavily in telepresence." However, Gledhill added that service was as important as price for the firm, particularly in booking hotel rooms for E.ON’s business travellers, and it now runs an internal trip adviser scheme, using mystery shopping. Gledhill was speaking at the HBAA annual forum’s panel discussion titled Has the Model Changed yesterday. Expotel chief executive Ian Burnley, Zibrant managing director – operations Chris Parnham, and Q Hotels sales director David Taylor joined Gledhill for the discussion. Parnham explained: "Our clients are demanding much more value. Procurement are much more involved in buying, whether that is beating the price down, or reducing the number of suppliers." Burnley added: "The best change to have happened is that there is much more focus on technology. However, you cannot substitute for direct contact with your team." The HBAA annual forum is being held at the Holiday Inn Stratford-upon-Avon and continues today.